Using braces are a fad today especially for kids who are growing up into their teens. Bracing has been proven and tested to be very beneficial in the long term. The American Association of Orthodontists confirmed that braces help fix bent, wide-gapped, too close, or crooked teeth. Teeth problems are among many individuals’ cause for insecurity, anxiety, and frustration, and now they have found a solution for their physical as well as psychological issues regarding their teeth. However, part of using braces, of course, is knowing how to care for them. The more experience and knowledge you gain about caring for braces, the more efficient and comfortable they will get as you wear them, the quicker you will be able to take them off without hassle. If you’re not very good at dental hygiene in the past, it’s time you get better now that you have braces. Taking care of your gums and teeth is vital when you are wearing braces, and part of taking care of your braces is sparing time to brush and floss your teeth regularly. These should be done gently but meticulously to avoid destroying the brackets and wires. It would be wise to use a soft brush, maybe Oral-B or Colgate Slim Soft, as well as using toothpaste with fluoride. Most dentists strongly suggest brushing after eating a big meal because foods tend to get stuck in between the wires of your braces, which leads to plaque buildup. Flossing is also highly recommended, as it’s a big help in getting rid of the food particles caught between your teeth or the brackets. You need to floss slowly, though. Be careful with threading each tooth and the wire of the brace, and more careful with moving it back and forth. Flossing hard between the insides of your teeth can destroy the braces. When you are wearing braces, your dentist will provide you with a list of foods that you should avoid. Primarily, the rule to follow is to avoid hard and sticky food. Gummies and caramel candies will stick inside your teeth and gums. Popcorn, pretzels, and other crunchy food tend to get lodged in the wires of the braces, causing the braces to snap on your next bite. Aside from not eating what’s on your doctor’s list, it will also do you good not to put just anything in your mouth when you’re wearing braces. Braces can be damaged quick with pen chewers and nail biters. And please don’t bite ice. Your teeth and your braces will surely be in trouble. If you are into sports (or your kid), don’t worry, because you can still play your favorite hobbies and games while wearing those braces. You just need to put on a mouth guard for added protection during an actual game or practice. 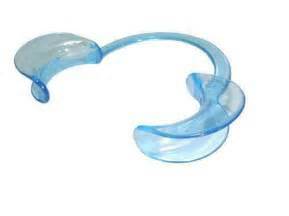 It’s best to wear these mouth guards both at the top and bottom teeth. You can even customize your guards for a better fit. Sometimes, even though you know how to take care of your braces, the wires may just break for no reason or the bracket may snap all of a sudden. The severity of the damage will depend on the reason why it broke in the first place. For instance, if you hit your mouth on your playmate’s head and your tooth cracks, you will need to see your dentist as soon as possible. If, however, the wire or the bracket of the brace is damaged, the orthodontist is the appropriate professional to go to. Broken wires can become a hazard because they’re not easy to spot and you might accidentally swallow the wires or breathe them in without noticing that they’re even there. The orthodontist will apply a temporary wax to cover and reattach the loosened bracket so the sharp end won’t be exposed. If something from the braces falls off, like a bracket or a spacer, you must also need to contact your orthodontist immediately. Having braces for a healthy and beautiful smile ultimately means you have to pay more attention to your teeth and your mouth. Be diligent in maintaining your dental hygiene while you’re wearing your braces. You won’t regret it when you remove them and reveal an improved set of teeth and a more carefree life as well. Dentists Are Prone To Suicide: How’s Their Mental Health?